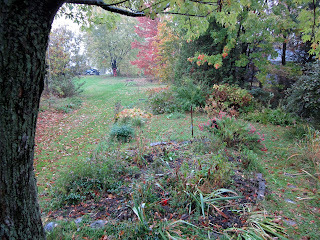 Last Sunday it was very rainy, but that just seemed to refresh the colours in my garden and yard. 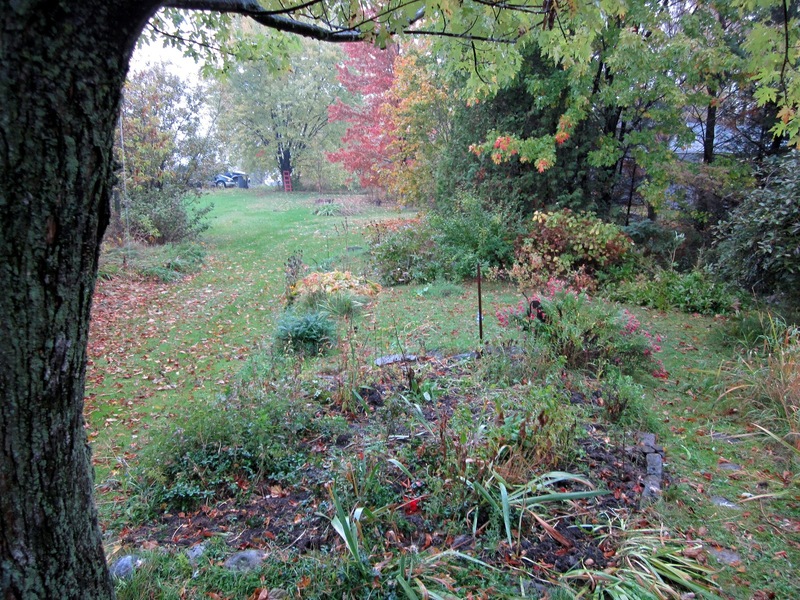 I took this photo quickly as the rain was dripping down and afterwards, realized that I had included one of my large maple trees in the picture, like a frame on the left side. I liked the effect. 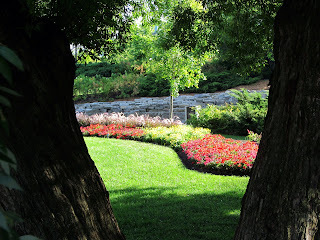 It reminded me that I had taken this photo about two months ago, when I intentionally used some trees as frames for a scene (in Major's Hill Park in Ottawa). The two pictures are different - the first was taken in the country, the second in the city; the first was taken in the fall, the second when it was still summer; the first is all foggy and misty, the second clear and bright. However, both have trees as frames for views of gardens, lending an interest to the scenes. Love the tree frames. A great way to see things new again. Like Ronna, I love the tree frames!